If you are unhappy about your spray tan or bored with it, it probably has to go. 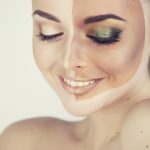 Whether you want to get rid of your fading spray tan or remove it before you come to your job interview, the solution is easier than you may think. Spray tan was not designed to stick to you for months anyway and is very vulnerable to several elements and factors. However, if you need spray tan removal, it is better to do it right, instead of doing a messy job and staying covered in light and dark spots for ten days. Here you will find information that will be of use to you. Follow our instructions and you will find the process of removing your spray tan as easy and convenient, as getting your tan sprayed. How to remove spray tan from skin after the procedure? The easiest way to get rid of your fake tan is do it right after you exit the tan cubicle or put the air gun away. Of course, people do not often grow unsatisfied with their tan right after they got it, but everything can happen. If something bothers you about your tan or you feel that you do not like yourself a few shades darker, just carefully wipe your tan away with a damp cloth. Make sure to do it evenly, to avoid boasting mismatched skin color for a couple of days. Professional studios usually dry your spray tan after applying it. This makes the task a bit harder for you, but not really. Hop into the shower or bath, make sure that the water is acceptably hot and soapy. 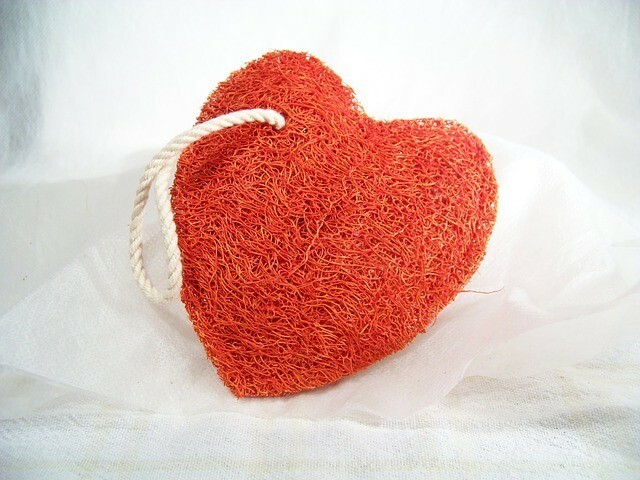 Then grab an exfoliating mitt and body scrub. Make sure to be thorough, but not too hard: you just want to get the tan off your skin, not to damage it. To ensure the safety of your skin, we suggest using special, nutrition scrubs for spray tan removal like the Biotique Bio Papaya Revitalizing Tan-Removal Scrub. There are plenty of exfoliating gloves that will efficiently relieve your skin of dead cells and spray tan. For instance, the Baiden Mitten Exfoliation Microdermabrasion Tool and the Easy Buff Tan Removal Exfoliating Glove proved to be a great help. You do not have to buy cosmetics to get rid of the tan. 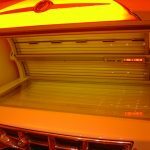 You can create your own tan-removing solution from the things you can buy in any supermarket and it will be as efficient as professional treatment. Slick and designed to deal with the most stickiest mess babies tend to get themselves into, it will greatly assist you in getting rid of your fake tan. Also, it will moisturize your skin, preventing damage or drying. This ingredient is supposed to be used together with baby oil, rather than separately. After mixing it with baby oil, you will get a paste that will bring you even more satisfying and efficient results. You can add a lemon, a powerful organic stain remover, into your concoction – because it won’t do any harm. Do you live at the seaside? Time to go for a swim! Having fun and getting your fake tan dissolved in a salty water go well together. You can moisturize your body with the baby oil + baking soda pasta afterwards and seal the effect. Some people do this. However, it is strongly recommended not to. Hydrogen peroxide is very aggressive both to stains and to skin, so its use may end in irritation, reddening, stinging pain and other, more severe complications, if you have a sensitive skin. Considering the waste range of tan-removing options, the risk of using hydrogen peroxide is not worth it. 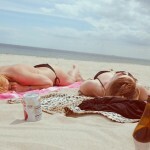 An ultimate way to get a natural tan is, of course, to take a good, old sunbath. 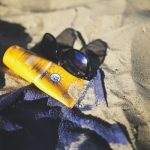 Do not worry about the skin cancer or sun burns: just remember to use sun screen, go to rest in the shade and you will be fine, warm and relaxed.